NEW! Tip box with artwork. Tip jars are everywhere, coffee shops, dry cleaners, pet groomers, etc.. why not have a professional creative tip jar that will be too good to ignore? 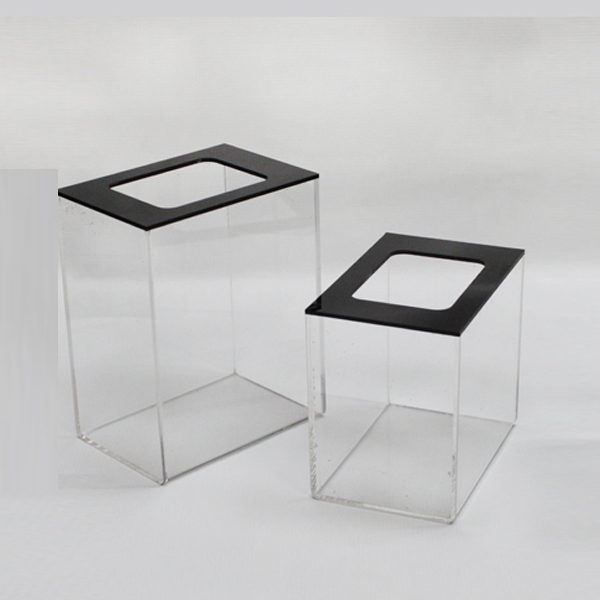 Our box is made specifically for tips or donations and is the perfect size to place next to a cash register. 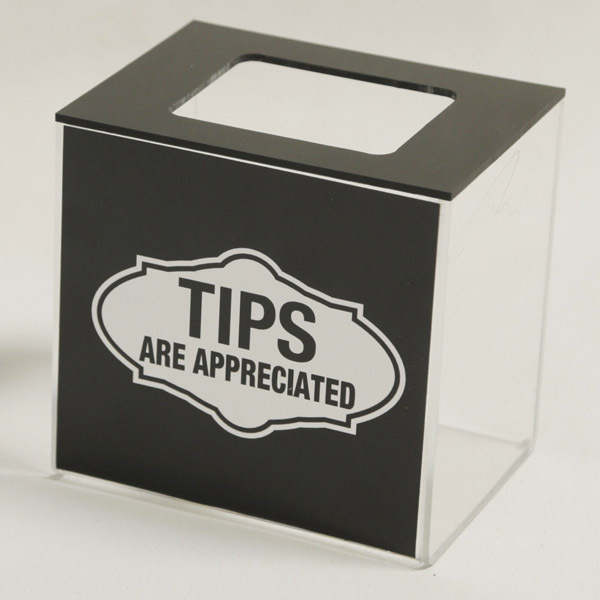 This is an acrylic plastic jar designed for collecting tips. The semi-open top makes it easy for customers to drop in their coins and dollars. The Top opening also makes it difficult for customers to steal money from the jar. This construction and professional label make this collection jar a great option compared to a makeshift can with a handwritten note. 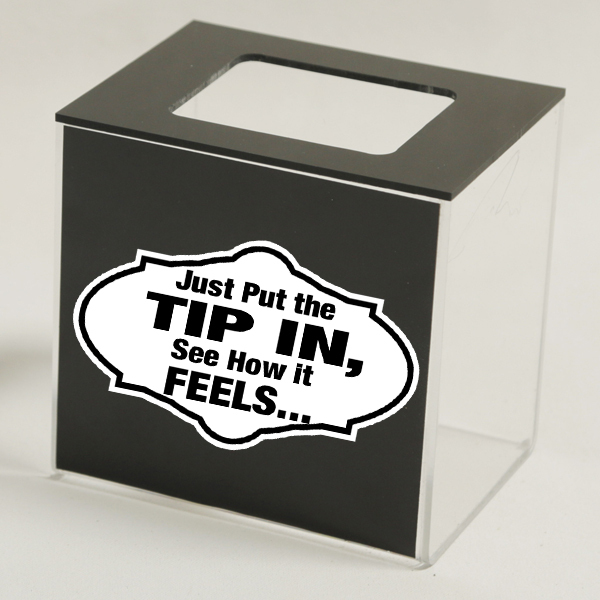 Some locations may warrant a small tip box, while other locations would like a larger tip jar. We make two sizes to give your business the best option of collecting the most in tips and donations. Collection box comes with a decal sticker that adheres nicely on front. 3. Just put the tip in, see how it feels. All Tip Boxes comes with decal labels. Great classier replacement for a tip jar. We left it blank to tailor to our desired look but having the option to put a personal message and customize this sturdy box is amazing! Arrived quickly, purchase price is great, shipping not so much but overall a very fair value and great product!